How much should my Swissy weigh? We proudly feed Nature's Farmacy products. Things you didn't know about being a Therapy Dog Handler. 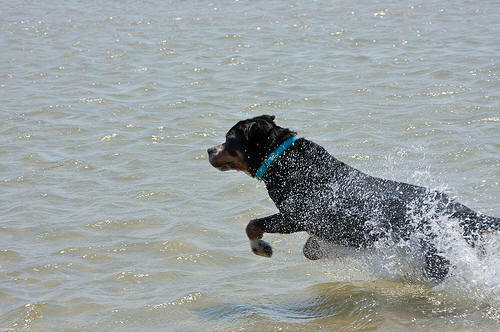 How many Greater Swiss Mountain Dogs are in the US? How many Lowchens are in the US? 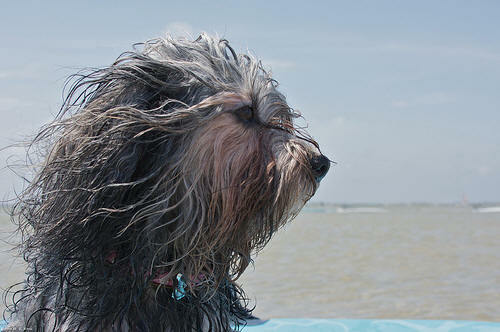 Keep Austin Dog Friendly is an educational and informational not for profit service. Your contribution offsets the costs of hosting, smart phone app development, promotional materials, and the costs of sponsoring events. Thank you so much in Keeping Austin Dog Friendly. Donations are not tax deductible. Copyright ©2002-2016 Dr. Jennie Chen. All images and articles are copyrighted. Unauthorized use is strictly Prohibited. Proud members of GSMDCA, Southbound, Gulf Coast GSMDC, IWPA, TXWorkingDogs, LSBMC, WETDOG, BVKC, OWNC, LCA, SNIP, and CGC Evaluator #27966. The weather is warming up, and coat blowing season is here. For those owners with double coated dogs, get ready to be completely covered with hair. 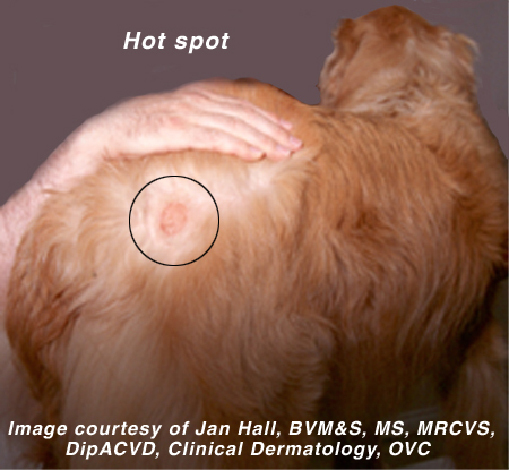 In addition to hair, this also seems to be the season when dogs get the dreaded hot spots. If you don't have a strong stomach, don't click the following links for photos of hot spots. Hot spots are essentially lesions on the skin that can be caused or started by a number of things. Licking or gnawing on the area tends to exacerbate the problem turning a small itchy spot into a full blown hot spot. Common areas for hot spots include the neck, under the ears, and around the base of the tail. There are many methods of treating a hot spot described online, and I don't particular endorse any one of those. However, in my experience, less is more for hot spots. Like any damage to the skin, the dog will heal itself. I personally keep the area on my dog dry and clean. I will sometimes apply the spaniel ear cleaner solution to the area and fan dry. I'll check the area to make sure that it isn't infected once a day, and that's about it. 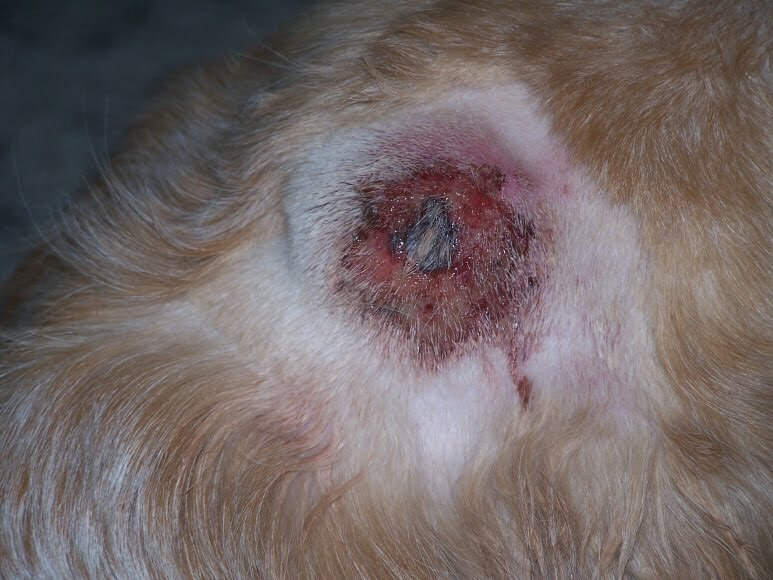 Many vets will typically recommend that you shave the area, treat it with topical ointment, put the dogs on antibiotics, and make it wear an e-collar. While that might be the treatment for very severe or large hot spot, most dogs won't need such extensive care. Crush an aspirin and coat the hot spot with it. Use topical hydrocortisone cream on the spot. Use spray anti-itch on the area. Treat it with tea tree oil. Keep your dogs dry and clean. 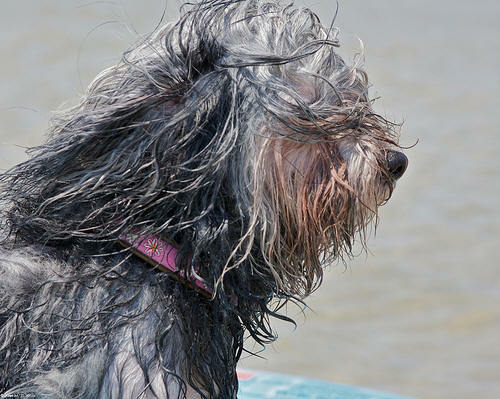 Make sure to thoroughly dry your dog after baths and swim. Blow dry under your dog's ears if they have dropped ears like a Golden or Basset Hound. Damp skin can get raw and itchy. If your dog has seasonal allergies, see your vet for treatment options. 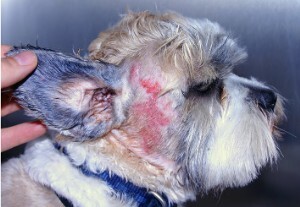 Benadryl and hydrocortisone cream are common treatments. If your dog has an insect bite, make sure to keep the area dry and treat with anti-itch spray or cream. 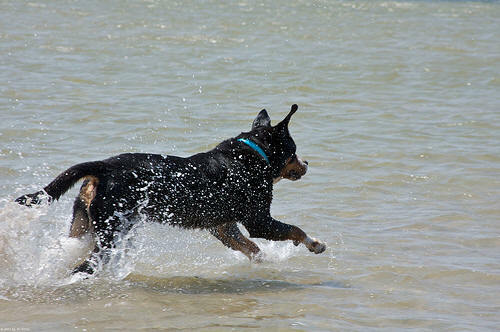 Use a non-stinky collar when your dog goes swimming. Dublin Dog makes very cute, easy to clean, easy to dry collar that can help prevent hot spots around the neck. Dublin Dog collars are made out of recycled plastic, and they come in a wide variety of colors and designs. Check out photos of @mousethedog and Basil in their Dublin collars! Photos by John M. P. Knox. Collars courtesy of Dublin Dog.